Please contact our Service – we will help you to solve your problem. Please download files that will facilitate the design process of heating and ventilation systems. BIM, or Building Information Modeling, is a modern standard for design, coordination and construction cost control. BIM enables professionals from various fields to participate in the planning process and to create a detailed, accurate calculation based on a three-dimensional design model containing all relevant data for products. BIM strengthens the design process by ensuring a constant exchange of information between all participants in the construction process, including the investor. It ensures the possibility of introducing necessary technological changes already at the design stage, which significantly increases project’s safety. FLOWAIR takes advantage of this technology, confirming our willingness to closely cooperate with designers and architects. 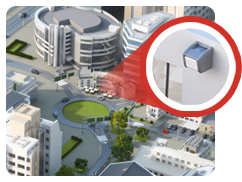 We have Revit files that can be used in 3D modeling of buildings and building systems. You are using Internet Explorer version 9.0 or earlier. For proper viewing of our website we recommend the latest version of the browser, which you can downloadhere.